Means that Thor will only keep an eye over your applications but it will not autoupdate them if a new version is available. It will only announce you that a new version has been released. How will Thor let me know that a new version is available for the Monitored Software? This means that Thor will both Monitor and AutoUpdate an application if a new update is released. So you won't have to do anything, Thor will do the job for you. 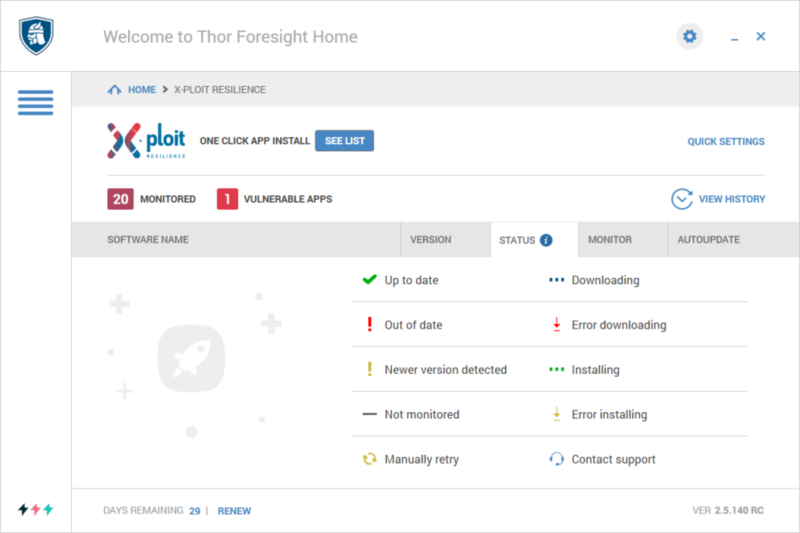 What Does It Mean That Thor Monitors My Software?